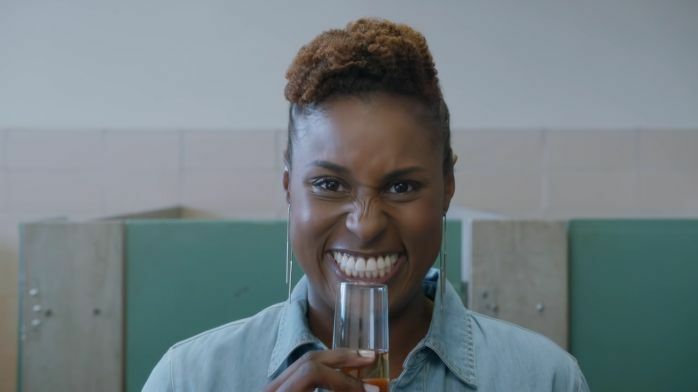 Insecure has been a long-coming success for Issa Rae. Coming off of Awkward Black Girl, it took years for the show to finally make it to our TV screens. True, that was probably due to a lot of work going into making the show just right, but outside of all that effort, Insecure owes a lot of its perfection to all of the shows that came before it. There are many elements of this show that seem directly inspired by past prominent black shows. The camaraderie in the main character Issa’a friendships brings to mind Living Single and Girlfriends. Her relationship could be straight from any black romantic comedy, with their “just can’t get it right” back and forth. And her “fish out of water” work experiences are reminiscent of shows from Fresh Prince of Bel-Air to black-ish to Martin. But even with all that inspiration, Insecure transcends to new territory, both because the show reflects the lives of millennials trying to figure things out in the current day and because it is not bound by the comedy label. Historically, blacks on television have been mainly relegated to comedy series. From Sanford and Son to The Jeffersons to The Cosby Show, blacks have a more than made their mark in comedy. The downside to these portrayals is that the realism of the black experience was largely missing. More recently, we’ve seen an explosion of exposure in drama series that speak more clearly to black life. But Insecure breaks ground in that it walks the line between the two. And this form of representation, showing blacks as not just comedic or dramatic but as both, is just what we need in a world that still seeks to categorize and stereotype us. In the beginning of the series, Issa Rae’s everywoman is a gateway to humorous situations. There was a dose of drama in that pilot episode, but it was memorable for her open mic performance and her workplace interactions. But as the series unspooled, it was the tension in her relationship with Lawrence, the personal development of her friend Molly, and Issa’s own tragic decisions that came to define the season. While Rae still has some work to do on the acting front (her role required a lot of tears that she couldn’t seem to generate), by the end of the show, I found myself completely invested in Issa’s relationship/s, friendships, and overall success. I screamed at the screen when she made an impulsive decision with Daniel. I hurt when Issa and Molly had their falling out. And that empty-hearted end of season 1 had me cursing Issa Rae’s name. It couldn’t have been better. In a short eight episodes, we were able to enjoy seeing black people at their best, worst, and everywhere in between because Insecure exposes human faults without dehumanizing. And that is why this show is so important. It is hauntingly human while being undeniably black.